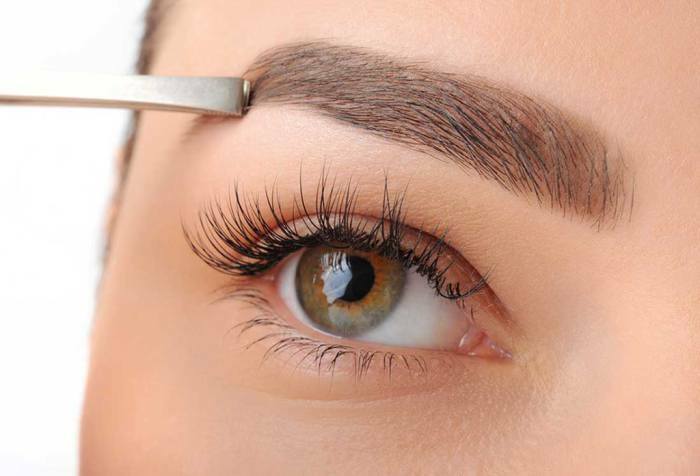 Eyebrows add beauty to the face and need constant removal of excess hair growth and shaping at frequent intervals. Some women may have thin brows and gaps that require constant coverup with pencil and the like. Maintaining perfect shaped eyebrows cost significant amount of money and time for women. Microblading is a semi permanent answer to most of the issues that women face in an attempt to flaunt those flawlessly arched brows. It is a cosmetic tattoo process in which eyebrow hair shaped thin color pigment strokes are added to the outer layer of skin to give a natural hair look. Needles with different diameters are used to manually design each stroke using a tattoo machine. It saves a lot of time and money on beauty parlor visits for eyebrow reshaping. It is not an irreversible process as color fades over the period of 18 to 24 months and leaves a choice to either get another session done or go with age old methods. Color strokes look exactly like hair giving it a natural looking eyebrow. It saves a lot of money on related beauty products to maintain a perfect shape. It is less painful compared to other permanent makeup procedures as topical or local anaesthetics are applied while defining eyebrows. It gives fuller, longer and desired shape brows while covering gaps making it the most suitable option for those with thin eyebrows. It is easy to maintain as no special care is to be taken while carrying out regular face cleaning routine. It is not a permanent process as strokes are going to eventually fade away. It is not a one sitting and forget about it procedure but requires at least 3 or 4 sessions to get desired results. First session is going to take considerable number of hours not just one or two as each stroke needs to be designed diligently and anyone promises otherwise certainly compromise on quality. Color and structure may go out of shape after 4 to 6 six weeks from the first session as ink spreads, fades and sinks in skin and in some cases women may experience discoloration too; hence second session must be scheduled to get it right. It is going to cost few hundreds of dollars for the full package along with touch up sessions spread across two or three years. It is not a surgical or invasive process but more like a nonsurgical tattoo done on the outer layer of skin; hence side effects that are similar to a tattoo such as skin irritation, bleeding and cancer in rare cases, may be associated with the process. Overall, it is comparatively a quick procedure to get fuller and proper shaped eyebrows that not only last for considerable amount of time but makes them a hassle free ones to maintain. A certified and well experienced artist would help in getting the job done with minimal or no errors while defining that accurate shape.